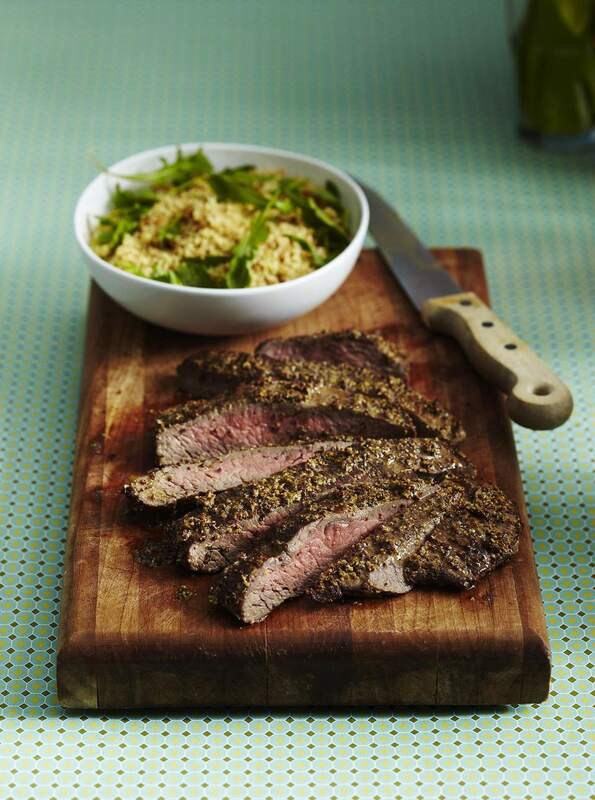 This flank steak is loaded up with great Moroccan spices. The marinade will keep it tender, but you want to grill this steak hot and fast. Mix all the ingredients except the flank steak together and mix well. Place the flank steak in a shallow baking dish or resealable bag with the marinade for 4 to 6 hours in the refrigerator. Remove steaks from marinade and reserve. Grill steaks to desired doneness (about 5 minutes on each side). Heat the marinade in a saucepan for 10 minutes. Cut steaks diagonally into thin slices. Pour marinade over steaks and serve.